Another exciting UEFA Europa League match is expected as Eintracht Frankfurt host Benfica at the Commerzbank-Arena. The German club are battling injuries and suspension, I think there is value backing the visitors in the double chance market with extra units on a draw. Eintracht were unbeaten in 2019 before the first leg in Lisbon and have now lost two games in a row. Frankfurt saw Evan N’Dicka concede a penalty and get sent off in the 20th minute, it was too much to overcome in the first leg in a 4-2 defeat. It could have been much worse with Benfica missing a good chance to go 5-1 up. Two away goals gives Adi Hütter’s side hope before the second leg in Frankfurt where the fanatical home crowd will be desperate for their side to turn it around. The Eagles returned to Bundesliga duty on Sunday in a disappointing 3-1 home defeat against Augsburg. Gonçalo Paciência put the hosts ahead but Gelson Fernandes was sent off early in the second half which gave them a mountain to climb. Once again it was too much to overcome, Martin Hinteregger forced off injured in the first half with the defender in doubt to face Benfica. Star striker Sebastien Haller didn’t make the bench against Augsburg as he continues to battle an abdominal strain. Defenders Almamy Touré is ineligible, Evan N'Dicka is suspended with Timothy Chandler, Marco Russ and Taleb Tawatha all injured. Eintracht are paying 1.70 to win the match and 3.10 to qualify including extra time and penalties. Benfica backed up their 4-2 win in the first leg with a 4-2 home win against Vitoria de Setubal. 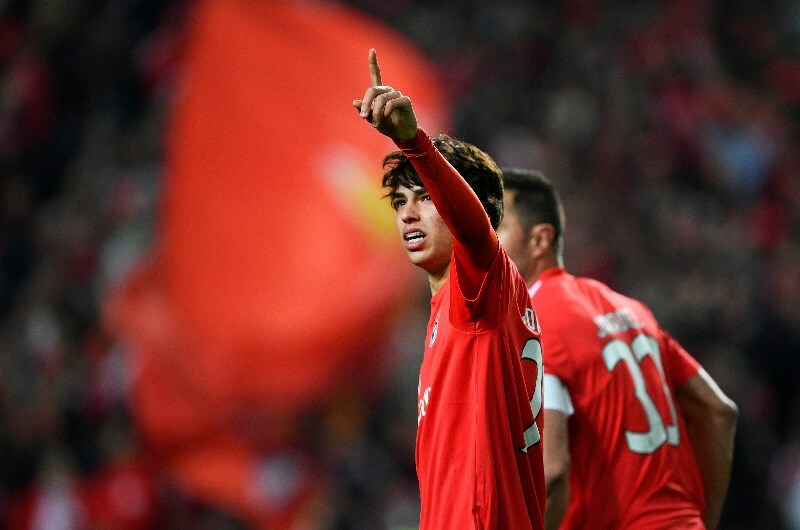 19-year-old starlet João Félix continued to shine, providing two assists for Rafa before getting on the scoresheet himself. Haris Seferovic returned to the starting XI and scored Benfica’s fourth goal but might make way for Gedson Fernandes in Frankfurt. Brazilian striker Jonas came off the bench to add depth but winger Eduardo Salvio and central midfielder Gabriel are injured. The win kept Bruno Lage’s side in front of FC Porto on goal difference at the top of the Primeira Liga table. Benfica have a deep and talented squad and are in a great position to reach the semi-finals. Benfica are paying 4.50 to claim the win but know a draw will be enough to progress which is paying 3.80. A combination of win and draw is known as the double chance which is paying 2.00 and my tip for this match. 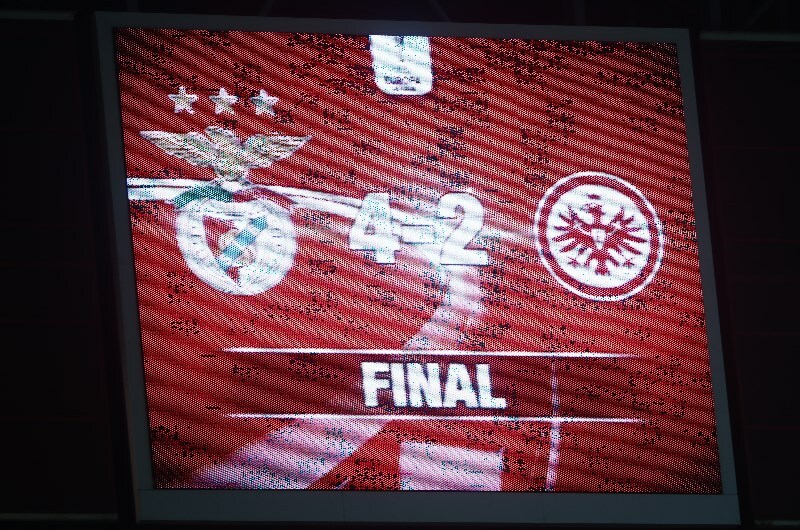 The first leg in Lisbon was the first meeting between Benfica and Eintracht Frankfurt. The Portuguese club won 4-2 with João Félix scoring a hat-trick and assisting Rúben Dias in a man of the match performance. Strikers Luka Jovic and Gonçalo Paciência scored for Frankfurt as they battled back following Evan Ndicka’s 20th minute red card. Frankfurt have suffered two straight defeats and have a number of injury and suspension concerns to key players. It remains to be seen how it affects them but it’s not ideal preparation. Benfica have a number of players in form including João Félix, Rafa, Pizzi and Seferovic. With a draw or a one goal defeat enough for the Portuguese club to advance, they might opt for a more defensive approach here. Eintracht Frankfurt have lost their last 2 matches in all competitions. Eintracht Frankfurt have conceded 7 goals in their last 2 matches (all competitions). Benfica are undefeated in 6 of their last 7 away matches (UEFA Europa League). Benfica have won 10 of their last 11 away matches (Primeira Liga). Benfica have scored 2+ goals in their last 5 away matches (Primeira Liga). Eintracht Frankfurt’s injury concerns means they have a tough job against Benfica. I think there is enough doubt about the hosts defence here as they go on the attack. I am turning to Benfica in the double chance market and wouldn’t be surprised if this one ends in a draw.